JUST IN !! … FOR SALE, Pre Owned ELECTRIC VEHICLES. 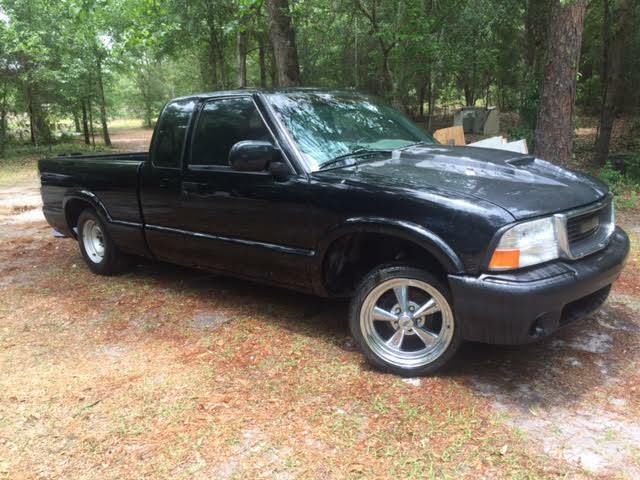 1998 S-10 !!! What a BARGAIN !!! New Motor, Adapter Plate and Motor Mount. Never Completed Project. COMPLETE or buy for the parts. Clear FLORIDA Title. 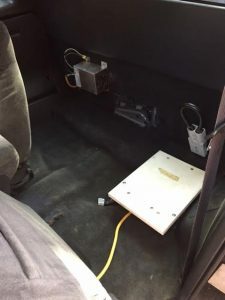 Charger station behind front seats, along with DC/DC and Emergency Disconnect. CALLING ALL SOLAR PANEL INSTALLERS WITH A VISION FOR THE FUTURE ! Imagine……………….. Pulling onto your SOLAR customer’s PROPERTY in this ALL ELECTRIC RIG…with all your Rails, Panels, Inverters, Ladders and Tools. Ready to INSTALL PANELS on YOUR customers Roof. Cab Over – 40 Ft Box Truck PERFECT for a SOLAR COMPANY ! TWO>>>>> 80 cell Packs of brand new 100ah Calb’s About an 80 mile range! J1772, PFC Charger, NEWLY CONVERTED, Already a working Vehicle. This PRE OWNED ELECTRIC VEHICLE is ready for sale ! JUST ADD BATTERIES !!!! A Charger and a new CONTROLLER !! NEW BATTERIES just arrived for this 3.7 VOLT Batteries, total 15kw PACK !!! Recently UPGRADED $12,950.00 READY TO BE SHIPPED ! 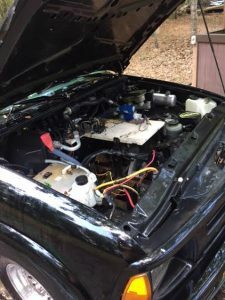 This Rav4 is set up with an 8″ Advance DC Motor, 750 Amp Controller NEW >>>>NEW 15kw VOLT BATTERY PACK !!! Includes a NEW ELCON 1.5kw charger and a NEW METER that turns the Charger ON and OFF and shuts the vehicle DOWN if the Voltage gets too low. !! Power Windows, 16″ Tires. NO A/C , but it is all there to hook up if you want.., VAC Pump and Power Steering just added. Drive this beauty away. SEE the BURN OUT VIDEO !! NO EV parts, this is a GLIDER. 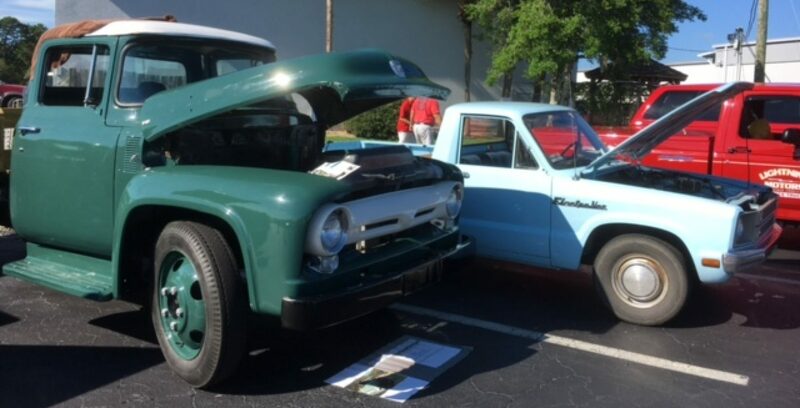 Nice PROJECT VEHICLE for a Dad and Son. 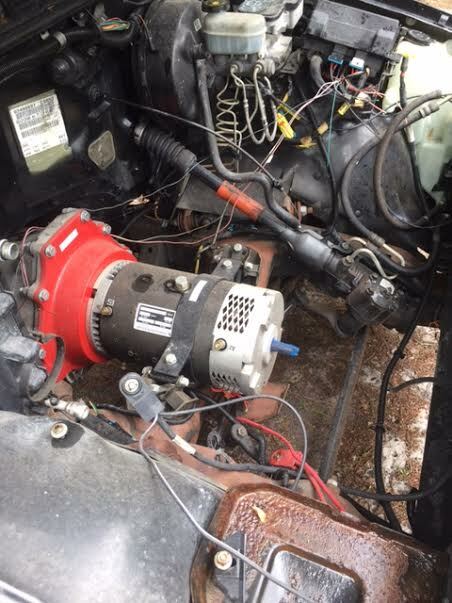 9″ Advanced DC Motor, Working Clutch, Vac Pump, Dc/Dc ( conditions in known). Set up for GOLF CARTS.. Real Nice shape. Let us UP GRADE this for you. Choose a Controller, Batteries and a Charger. PRE OWNED ELECTRIC VEHICLES for everyone ! MAKING ROOM FOR SOME FUN EV’s, FARM EQUIPMENT …and BOATS !! !